Puerto Rico is years into an economic crisis. Now it's facing a natural disaster. 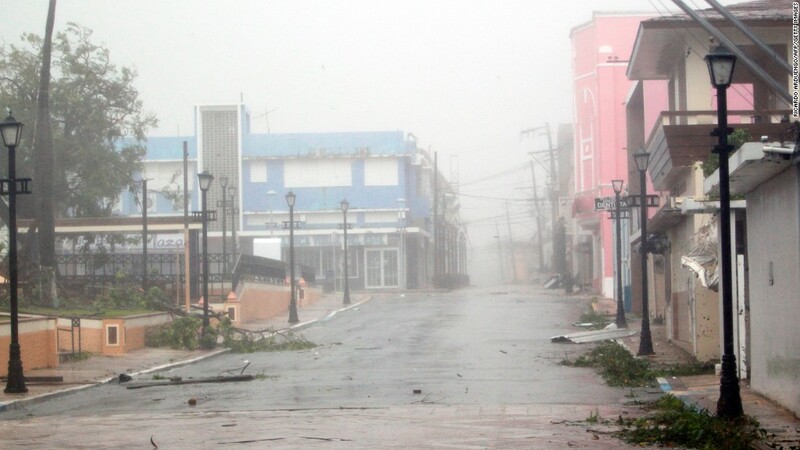 Hurricane Maria hit the island on Wednesday as a Category 4 storm, threatening lives and promising potentially devastating economic damage. The island is already deep in a years-long debt debacle spurred by mismanaged funds, archaic energy policies and a struggling economy. Puerto Rico's government owes $74 billion to bondholders, and an additional $50 billion in pension obligations to teachers and almost all other government employees. In May, it filed for the largest municipal bankruptcy in U.S. history. Meanwhile, Puerto Rico faces another long-term problem: Many residents are moving from the island for the mainland United States, leaving it with few skilled workers to handle the rebuilding and development process. The territory's population was down to 3.4 million residents last year from 3.8 million in 2004. Persistently high unemployment, along with better job opportunities in the mainland U.S., have pushed Puerto Ricans to pick up their bags and move, mainly to Florida and Texas, according to the Pew Research Center. The pace is picking up, too. In 2005, nearly 47,000 Puerto Ricans left the U.S. territory for the mainland. Last year: 89,000 left, Pew reports. Puerto Rico's economy has been in a recession since 2006. It's unemployment rate in August was 10.1%, more than double the national average, according to Labor Department figures. Puerto Rico's government has tried to lure investors and businesses to the island to boost its tax base. It offers major tax incentives to wealthy individuals who own property or start a business on the island. Its current administration is trying to cut red tape to make it easier for investors to buy Puerto Rican debt with fewer hurdles. It also agreed to be subject to a financial oversight board to help ensure it starts to pay down its debts. However, the oversight board has criticized Rossello's administration this year for its lack of progress on creating a sustainable debt-payment plan. Rossello argues that the criticisms are unfair and that the island's government is making progress. Puerto Rico was spared a direct hit by Hurricane Irma, though hundreds of thousands of people lost power and some structures were badly damaged, officials said. --Jill Disis contributed reporting to this article. A version of this article was published on September 18.